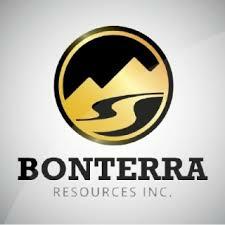 Bonterra Resources Inc. (TSX-V: BTR) (US: BONXF) (FSE: 9BR1) is pleased to announce that it has closed its previously announced brokered private placement for gross proceeds of $21,817,100. Sprott Capital Partners acted as lead agent on behalf of a syndicate of agents which included PI Financial Corp., Red Cloud Klondike Strike Inc., Canaccord Genuity Corp. and Haywood Securities Inc.
Pursuant to the Offering, Bonterra issued 3,443,500 common shares of the Company on a flow-through basis at a price of $3.80 per FT Share and 2,646,000 common shares of the Company on a non-flow-through basis at a price of $3.30 per NFT Share. The gross proceeds from the issuance of the FT Shares will be used for Canadian Exploration Expenses and will qualify as “flow-through mining expenditures” (the “Qualifying Expenditures“), as defined in subsection 127(9) of the Income Tax Act (Canada), which will be renounced to the subscribers with an effective date no later than December 31, 2018 to the initial purchasers of the FT Shares in an aggregate amount not less than the gross proceeds raised from the issue of the FT Shares, as applicable, and, if the Qualifying Expenditures are reduced by the Canada Revenue Agency, the Company will indemnify each FT Share subscriber for any additional taxes payable by such subscriber as a result of the Company’s failure to renounce the Qualifying Expenditures as agreed. The net proceeds from the NFT Shares will be used for on-going exploration and development work on the Company properties and for general corporate purposes. In connection with the Offering, the Agents received a cash fee in an amount equal to 6.0% of the gross proceeds of the Offering. All securities issued under the Offering will be subject to a four month hold period from the date of issue in accordance with applicable securities laws. The Offering is subject to final acceptance of the TSX Venture Exchange. In addition, the Company also wishes to announce a non-brokered private placement of FT Shares and Non-FT Shares on the same terms as the Offering to raise proceeds of up to $500,000. The Non-Brokered Offering is subject to acceptance of the TSX Venture Exchange and is expected to close in the immediate future. All securities issued under the Non-Brokered Offering will be subject to a four month hold period from the date of issue in accordance with applicable securities laws.